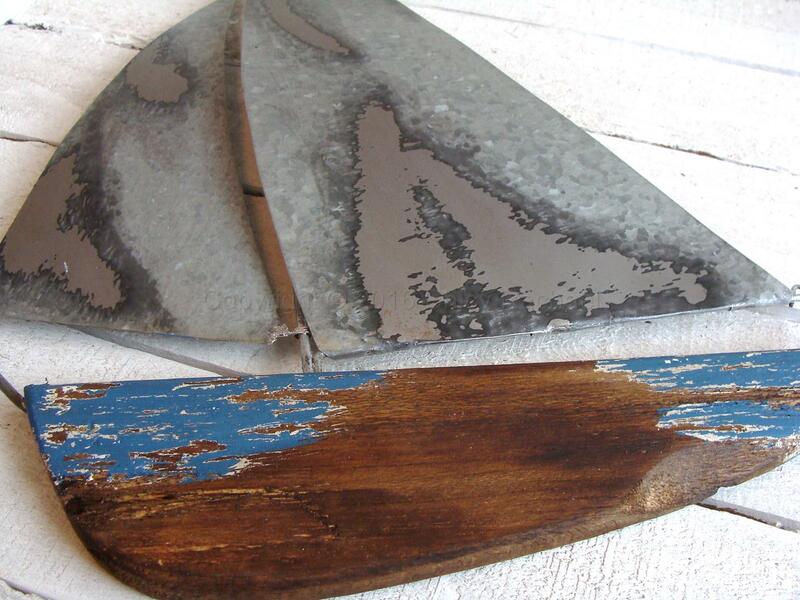 A stunning piece of wall art made from tin and reclaimed wood. 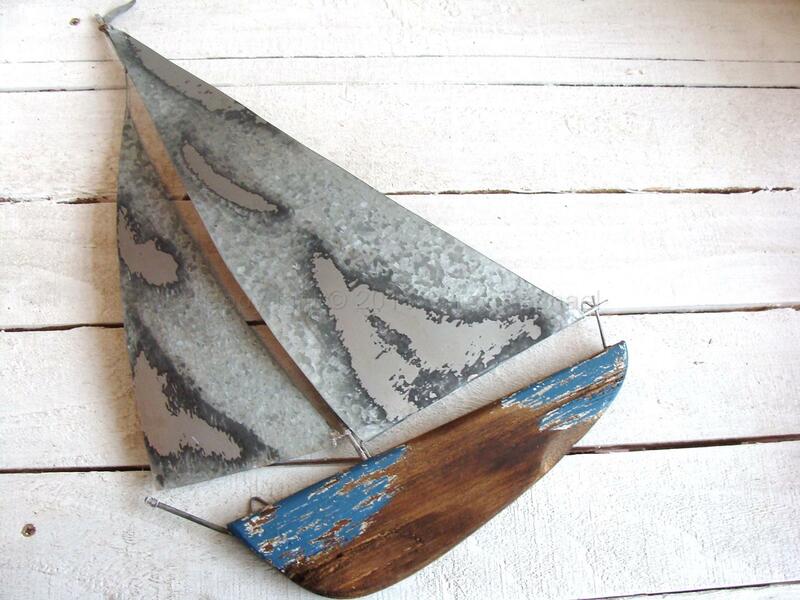 This yacht has two lovely tin sails with a little flag on the top, which sits on a piece of reclaimed wooden base. 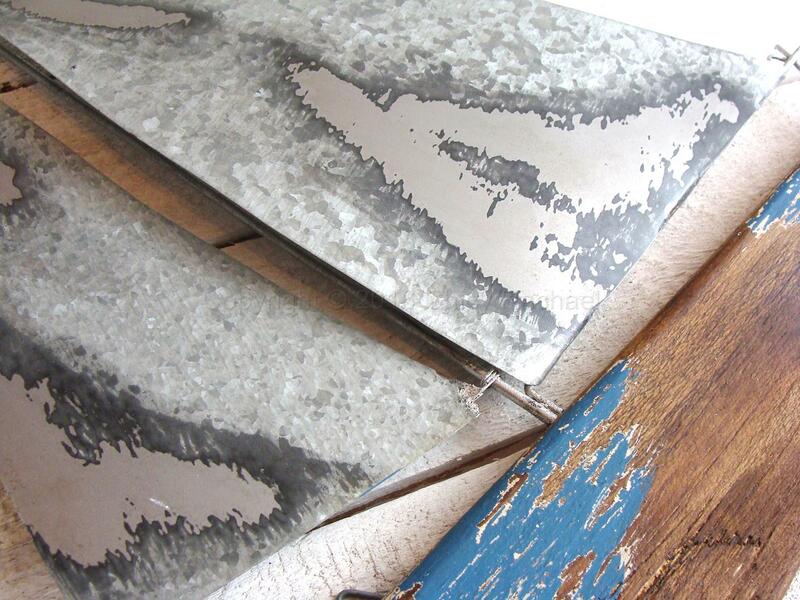 The overall appearance of the wall art is distressed/weathered, paint has been left on to add to the distressed feel. This would make a lovely gift for fathers day. 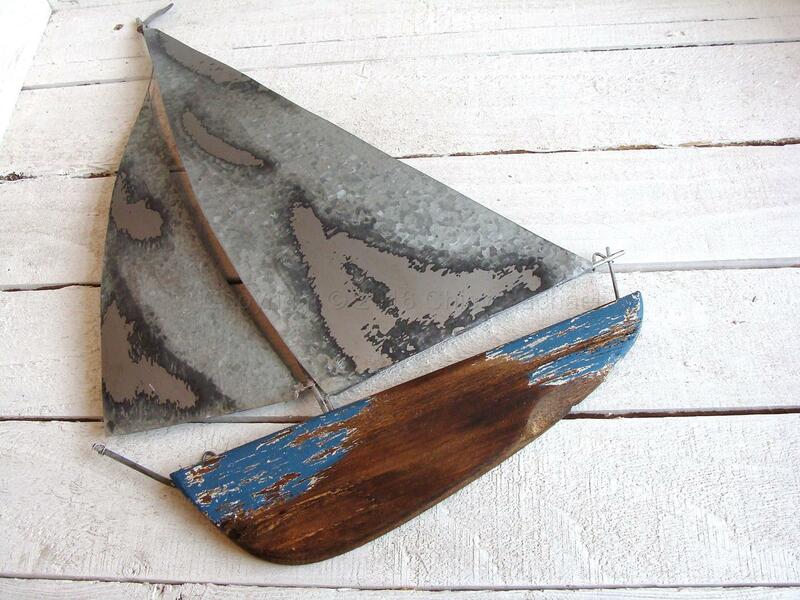 Simply a beautiful piece of nautical wall art. Due to materials used the picture is only a guideline of what you will receive.